I have been with the forensic unit at YRP for almost 30 years now, specializing in forensic imaging. It has been very satisfying to share my knowledge and experience in computer fingerprint capture and enhancement with others, and my vision for this book was to write something I wish I had at my fingertips when our unit transitioned from film to digital in 1999. E. Jill Smith is an imaging specialist with the York Regional Police in Ontario Canada, working in forensic digital image enhancement of impression evidence intended for analysis since 1999. She has been published several times in the IAI’s Journal of Forensic Identification, and served on the Forensic Photography & Imaging Certification Board from 2013 to 2017. Jill has lectured and instructed at the Ontario Police College, as well as with Brian Dalrymple across the United States for 15 years. 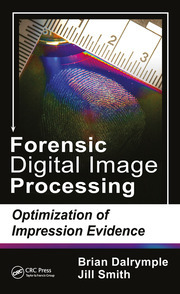 Jill and Brian just published their first book on forensic digital imaging this year: Forensic Digital Image Processing – Optimization of Impression Evidence. Enhancement and optimization of digital images intended for analysis (footwear, fingerprints, etc). Underwater Photography is a passion of mine, and I have become obsessed with capturing the underwater antics of the very special marine life that thrives below the waves.